IIBA Ottawa-Outaouais in an incorporated non-profit organization, operated by a volunteer Board of Directors. The Chapter's mission is to advance the learning, practice and accreditation of business analysis professionals by providing - in a local, face-to-face setting - professional development events, networking opportunities, and educational programs organized by fellow BAs from a wide variety of organizations and industries. IIBA O-O does not manage IIBA® membership dues, nor does it receive funding from IIBA®. The Chapter is financed by nominal fees charged to attend some of its professional development events and educational workshops, and through the support of valued sponsors and partners. The Chapter offers a variety of financial and in-kind sponsorship and partnership opportunities tailored to offer the best value to your organization, the Chapter, and our members. For information, please contact us at marketing@ottawa-outaouais.iiba.org. We thank our sponsors and partners for their active contribution to strengthening the Business Analysis community in the Ottawa-Outaouais region! We gratefully acknowledge the support of the organizations below. ACCT offers professional workshops, courses and programs across a broad spectrum of industry and professional disciplines including business analysis, project management, leadership, management and customer service. Its latest offering, “Business Analysis Essentials”, is a college-accredited certificate program which provides new and aspiring business analysts with the knowledge, skills, tools and techniques to excel in their role and advance in their career. Developed by leading practitioners and educators, the program combines industry expertise and emerging best practices to provide a comprehensive training program for those who want to develop their knowledge and skill in this mission-critical field. Individuals can attend open enrolment classes at Algonquin’s Corporate Training Centre in downtown Ottawa (map) or, alternatively, ACCT can deliver off-the-shelf or customized training for your team at your site or theirs. The Sprott School of Business at Carleton University explores complex management issues through innovative programs, interdisciplinary research and collaborative partnerships. 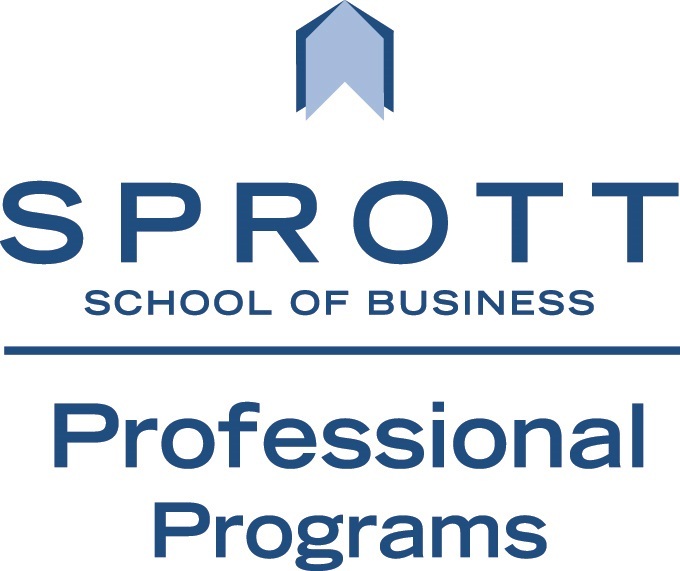 Sprott offers business degree programs at the undergraduate, master’s and doctoral levels, as well as a range of professional development programs. Sprott's Masters Certificate in Business Analysis equips you with the knowledge and techniques necessary to be an effective Business Analyst and, most importantly, helps you become a professional BA, able to achieve successful business solutions and satisfy customers. The Sprott School of Business is accredited by the Network of International Business Schools (NIBS). The Masters Certificate in Business Analysis is offered in partnership with the Schulich Executive Education Centre.